Packed with high performance features that enhance cornering, braking and acceleration, the FP7000 delivers year-round, all-weather traction, smoothness and stability at an excellent value. 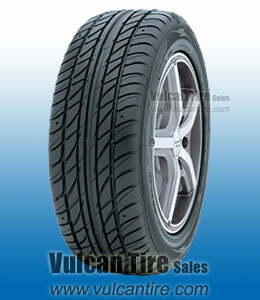 Additionally, the FP7000 features a non-directional tread pattern that allows ease of rotation for improved tire life. Good tires great price ! Will buy more next time . When I went to the installer for a scheduled rotation, I was told there wasn't enough tread left to do so. The tires are 4 years old but have less than 16000 miles on them and have always been inflated and rotated properly. I will not purchase again! Their wet traction is nonexistant- with only 15,000 miles on them, they are borderline dangerous. I've had these tires on 2 family members' cars before, which weren't driven daily_ even then, the treadwear is terrible. They are classified as 'high performance', which means they are soft as a pencil eraser. I will not buy tires without a treadwear guarantee again. My commute is 50% freeway and 50% mountain roads. Tires provide better grip than the factory Dunlops and wear better, as well. They're inexpensive and wear well, so they're good value. My only complaint is slightly decreased gas mileage (maybe 0.5 -1 mpg less) than the factory Dunlop tires. Good tires for the price I paid.